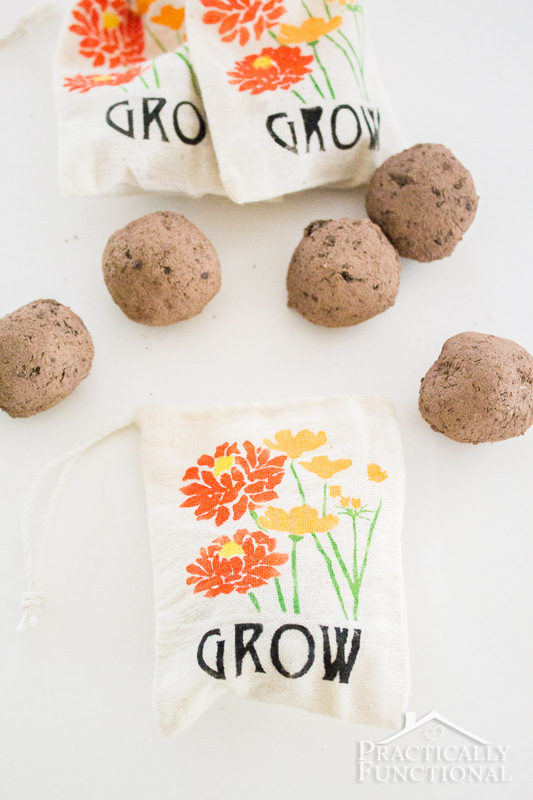 Remember the wildflower seed bombs I made a while ago? 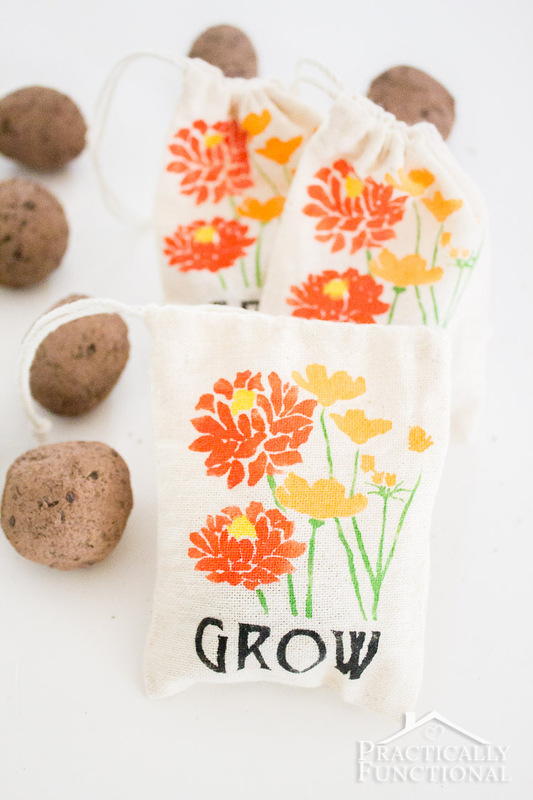 I figured they would make the perfect party favors for a garden party, wedding, bridal shower, baby shower, or whatever; all they needed was to be prettied up a little so they don’t just look like dried lumps of clay! 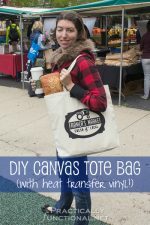 So I painted a few plain fabric bags to make super cute, stenciled party favor bags that are perfect for any occasion! 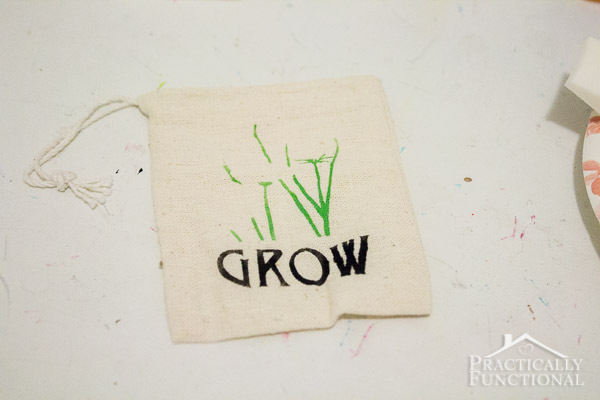 These “GROW” bags are perfect for the wildflower seed bombs, but you can stencil any design on your bags and make completely customized party favors for any party, wedding, theme, or occasion! And they’re so simple to make! 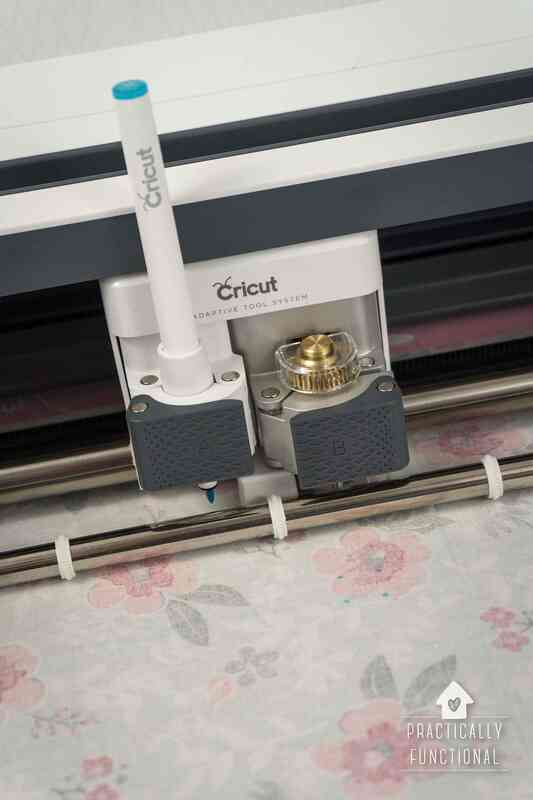 NOTE: I made my own custom stencil with my cutting machine and some adhesive vinyl, but if you find a pre-made stencil that you love, that will work too! 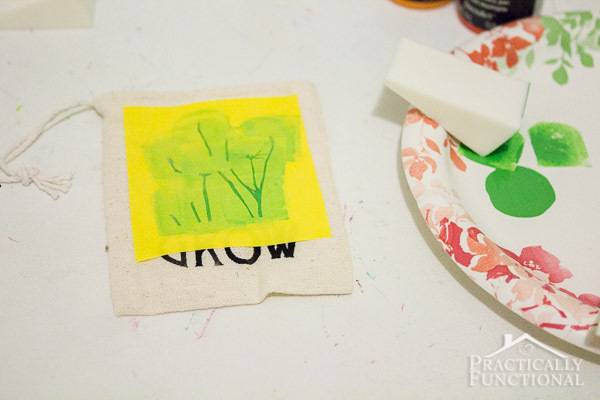 I love using small makeup sponges when stenciling; they’re the perfect density to get a nice solid coat of paint on your project, but unlike brushes, you won’t accidentally brush paint under the edge of the stencil when painting. The first thing you need is a stencil. I decided to make my own using my cutting machine and some adhesive vinyl. I found a super cute design online, then pulled it apart into separate layers. I wanted each part of the stencil to be painted in different colors, so I pulled all of the stems into their own grouped stencil, all of the small flowers into another, the two large flowers into another, and the two yellow centers into a fourth separate stencil. Then I typed out the word “grow” and made that its own layer as well. I cut out all of the layers of the stencil using my cutting machine and then weeded away all the inner parts of the stencil. 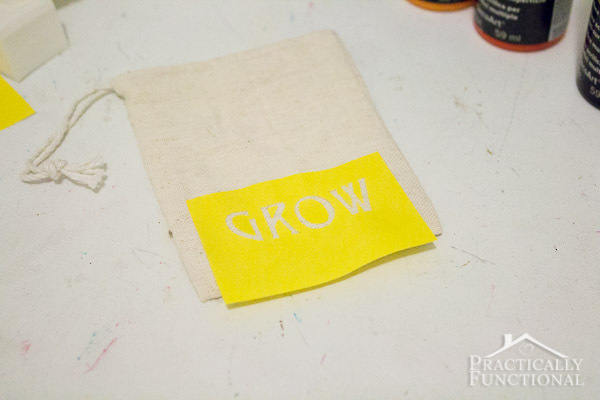 I wanted to start with the word first, so I peeled that stencil layer off the paper backing and stuck it to the fabric bag. Dab the paint on, then carefully peel away the stencil. I did the stems next; again I weeded away all the inside pieces, then carefully removed the paper backing and stuck the stencil to the bag. Make sure the previous layer of paint is dry before you stick a new stencil layer on top of it! 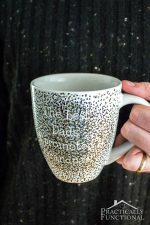 It should only take about thirty seconds for the paint to dry, but if there’s a thick layer on there, give it a few minutes so you don’t smear your previously stenciled layer with the new stencil. Carefully dab paint onto the new stencil layer using a makeup sponge. Then peel away the stencil vinyl. 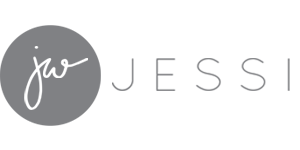 Continue adding new layers of the stencil and dabbing paint in different colors until your entire design is stenciled, and you’re done! 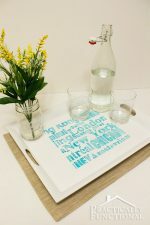 Give it another few minutes to dry, just in case, and your stenciled party favor bags are ready to fill! 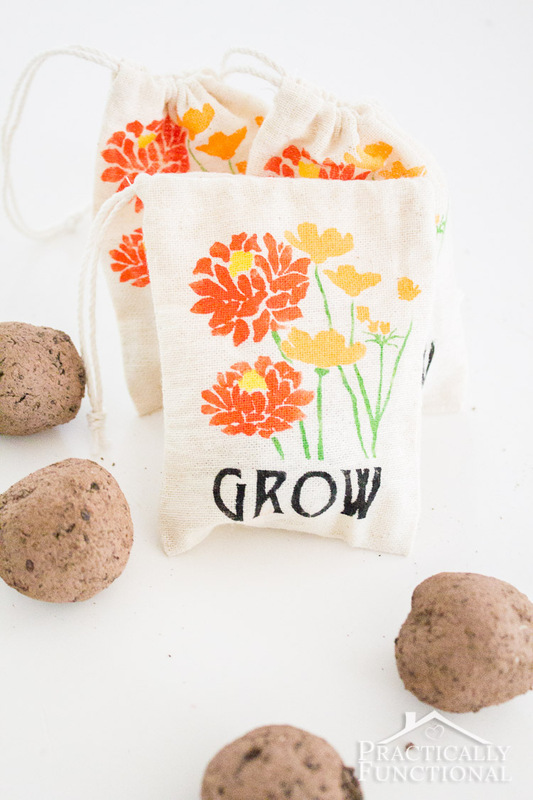 I put the DIY wildflower seed bombs I made in these bags, and now they’re ready to give as gifts! 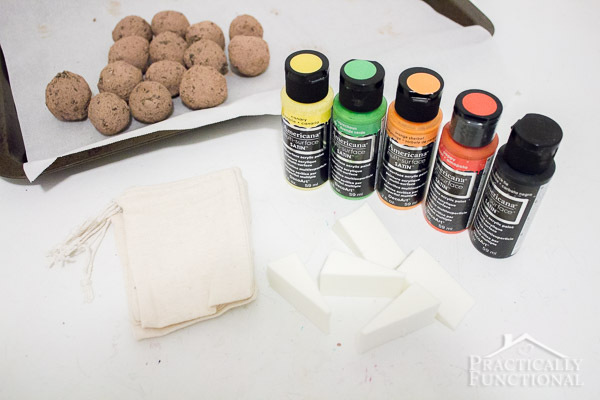 You can also add a small piece of paper with instructions for using the seed bombs: Just toss the seed bomb into a pile of dirt, and wait for it to grow! « Adopting Shelter Cats – Our Rescue Story! What a CUTE idea! 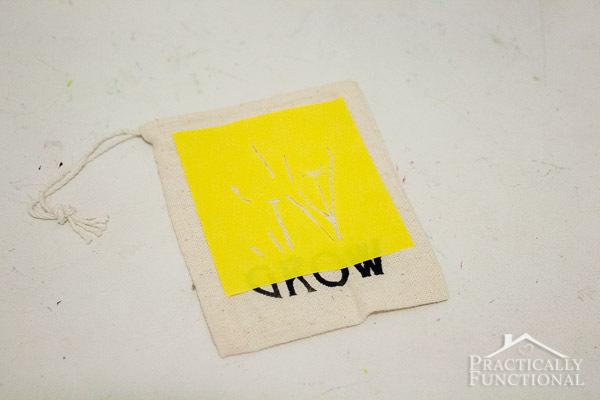 We gave out Wildflower Seed Packets at my wedding as favors. I wish that I had seen this back then. Such a cute idea! 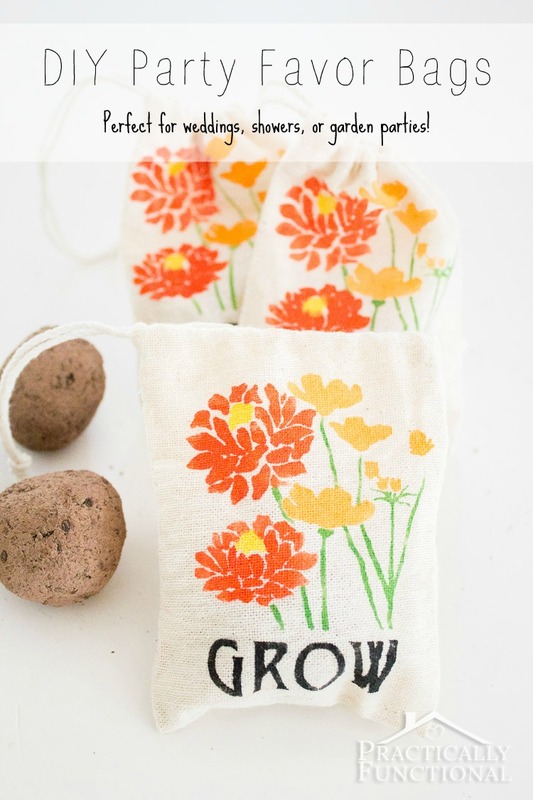 These are such a gorgeous idea Jessi. 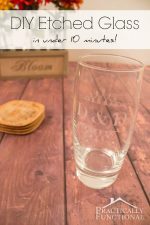 What a great party favor idea! I’m in love with these bags! Thank you for the wonderful step-by-step instructions. I can’t wait to try it myself. These turned out beautifully Jessi! 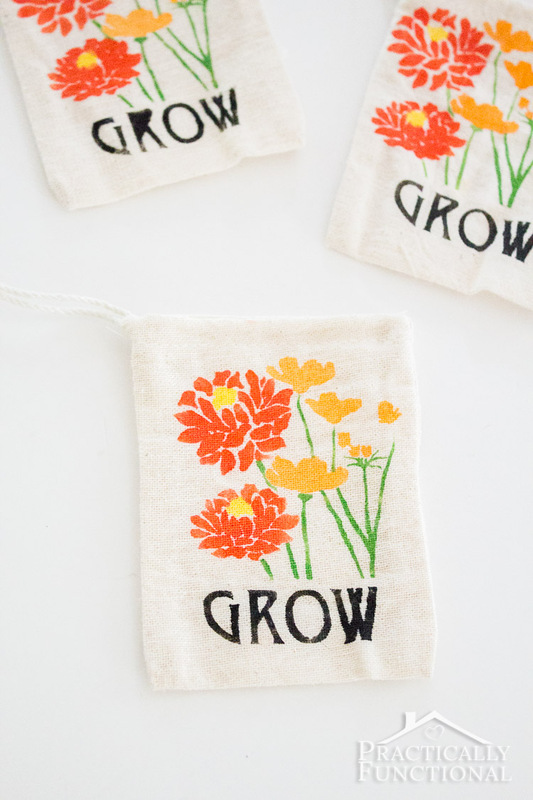 This is a great idea for a favor bag. These are so, SO pretty – I love them!! And I have never thought of using make-up sponges for painting before, that is *brilliant. * Thanks for the tip! 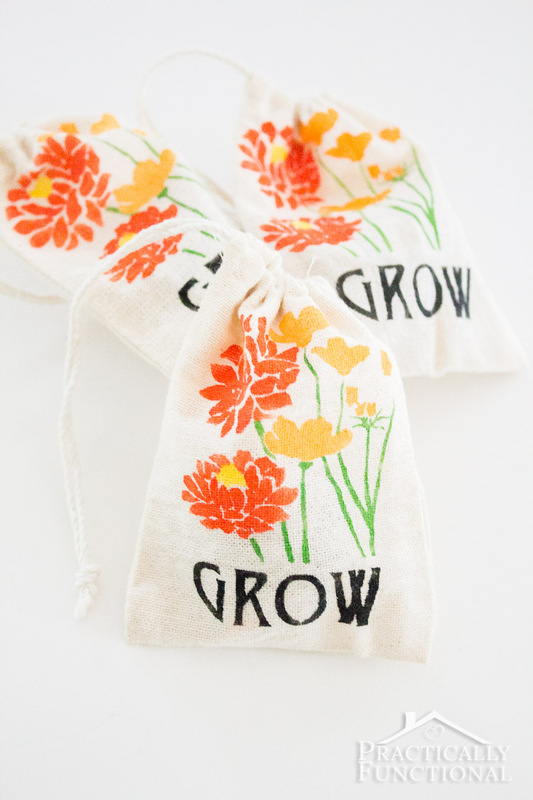 Such adorable party favor bags…I’d love the bag without anything in it! These came out great! 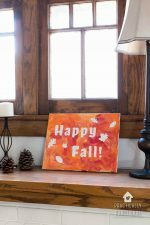 Love how you layered the stencils! Also you have such a green thumb I learned a lot from your basil video. My basil plants have never been so big! Oh yay, I’m so glad the video was helpful!